When I was a teenager living in Hollywood, California in the late 70s, Woody Guthrie fascinated me. I borrowed his autobiography, Bound for Glory, from the library and read it voraciously as if it were my Creed. I wanted to live his life—free, riding the rails, playing my guitar. I learned to play “This Land is Your Land,” “This Train is Bound for Glory” and other songs he wrote. The hobo’s life for me . . . wanderlust! I’ve ridden the rails, but not like Woody—Eurail, NJ Transit, the MTA. Still I dream about being unencumbered by civilization’s trappings—selling the house, buying an RV (my husband’s idea), living on the road with our cats. We bought the America Dream—moving from a rental apartment in Astoria, Queens to a house in Northern New Jersey—but we live a kind of hobo existence. It’s hard not to in this new economy—working harder for the same money or less, our home devalued, repairs needed . . . you know the drill. I started “Hobo” as a place to share our stories without fear. We are hobos of the mind, renegades of the soul, yearning for something un-corporate and unconfined. We live paycheck to paycheck, debts linger, but we don’t let that get us down. We still have dreams. I like reading about you. Thanks. My boyfriend and his gang of friends call themselves bike hobos, and have a similar ethic. I love the rediscovery and repurposing of the word ‘hobo’. Modern usage is restoring some of the respect to that word. Hobos, I understand, are an honorable and ethical group, and the word is much misused. Love seeing it used here, on your blog. How cool! Thank you for stopping by! Thanks for stopping by. I will stop by your blog again soon. Thank you. Nice to meet you too, Jenny. 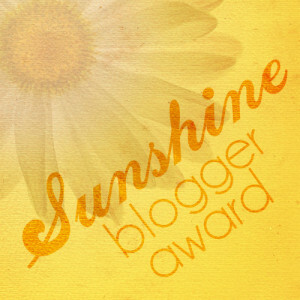 I nominated you for the Versatile Blogger Award. Feel NO PRESSURE to participate but I enjoy and appreciate your blog! Check it out at https://openunated.wordpress.com. Followed your blog. Check mine out sometime. I LOVE YOUR BLOG!! Lol. I found you by way of Jason – Harsh Reality, and I’m loving your blog! Funny, you live in New Jersey, I was born in NJ, Toms River. You moved to So. Calif in the late 70’s, my dad was career Air Force. So his last transfer before he retired? We moved to So. Calif in Feb 1970. I was only 7. But I grew up in Highland/San Berdo area. Maybe we were “Kindred Spirits” somehow? Been to Hollywood many times.Crazy place. You see everything on the streets of Hollywood! Lol. I enjoyed your post of Bernie Sanders. I did watch the convention last night. I do agree with Jason that many American’s, no matter who the candidates, many are so fed up with nothing being done in Govenment? that it really doesn’t really matter who wins. It will be very, very interesting to see just how many real people come out and vote this election. I have a sick feeling voter turnout will be an all time history low. Just my own opinion. I am now following! Catherine, Thank you! So nice to meet you. I was born in Manhattan, grew up in Jackson Heights, Queens and have been living in NJ for 9 years. We are relocating soon – more on that later. Yes, Hollywood is an “enchanted” place. I lived in Hollywood from 1977-80. Yes, I am quite disillusioned with the government. We are no longer a democracy, but a plutocracy. I hope to God that Trump doesn’t become our next president, but am no fan of Hillary either. Girl …. I hear on all fronts!! It will be interesting to see how it ends up in November. So very nice to meet you too!